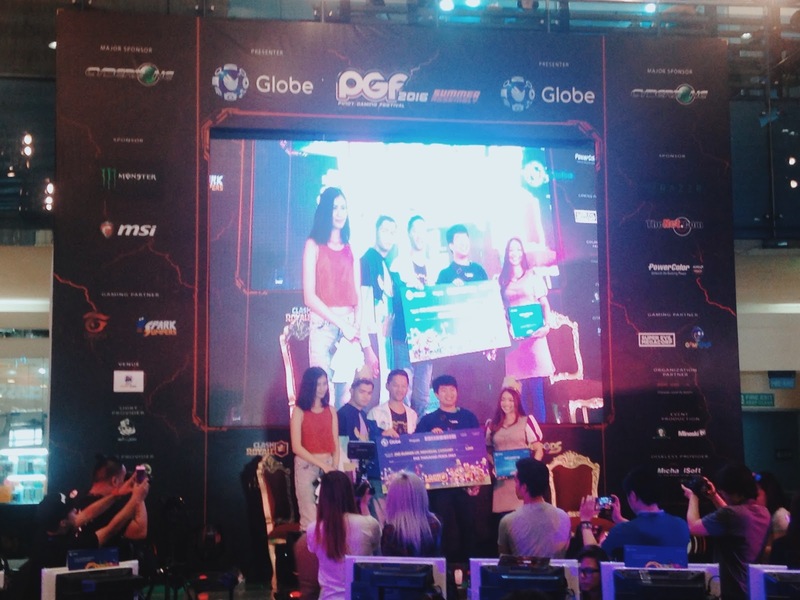 The most competitive gamers all over the country gathered at the recently held Pinoy Gaming Festival (PGF) Summer Assembly last May 6 to May 8, 2016 at SM North Edsa. Presented by the country’s number 1 mobile brand, Globe, participants set out for three days of intense online competition. Known as the biggest annual gaming and eSports event in the country, PGF featured a selection of popular PC and mobile games from various developers. This year, the gaming event included Supercell’s newest mobile strategy game: Clash Royale. With its rapid rise to popularity among mobile gamers, Globe hosted its first Clash Royale Tournament with cash prizes and bragging rights at stake. Qualified players went through eliminations and those who earned the highest number of crowns, or defeated the King’s Tower first advanced to the succeeding rounds. At the Grand Finals, 2 remaining players went head to head on a best of 7 match. At the end of the 3-day competition, 3 of the best Clash Royale players who come from some of the most dominant Clash Royale clans in the country were awarded, namely Jen Riel Francisco from PH Alliance in 3rd place, Rodolfo San Pedro from Filipino Champs in 2nd place, and finally Marc Cua, also from PH Alliance, as the first ever Clash Royale Tournament champion. As the champion, Cua took home P20,000 plus bragging rights as the best player for Clash Royale. “The gaming community in the country continues to gain ground as more quality PC and mobile games become available. 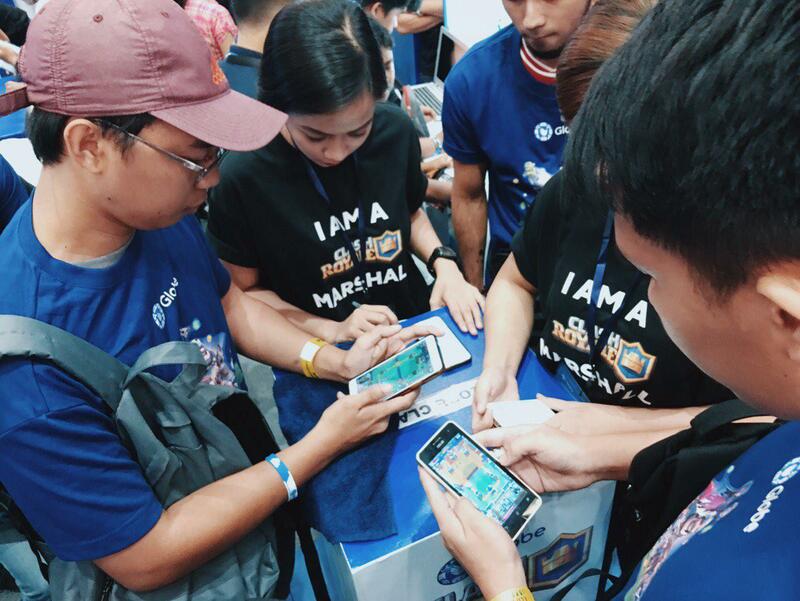 Mobile games in particular have caught on really quick among Filipinos with the affordable devices allowing access to top games like Clash Royale. This is why we keep on expanding our portfolio of content to ensure that these mobile games are easily accessible to our customers. With the success of this first tournament, our customers can definitely look forward to more exciting events,” shared Globe Senior Advisor for Consumer Business Dan Horan. Clash Royale is a fast paced card based Player versus Player brawler with the objective of destroying your opponent’s towers to win. Each win earns trophies that increase your Arena level, giving you a chance to earn and unlock better cards. It is the fourth mobile game developed by Supercell, following the success of its other games Hay Day, Boom Beach, and Clash of Clans. On Globe, customers can enjoy Clash Royale on their iOS or Android devices through the GoSAKTO promos where customers can create over 200 million call, text, and app combos that include mobile apps like Snapchat, Clash of Clans, YouTube, Wattpad, and Grab. Players can also subscribe to GAMES15 that has free access to Clash Royale among other games, for P15/day with 100MB data allocation.